Explore the history of the world from Era 4 to the present. The stories, struggles, and triumphs of the world itself come alive in our High School World History offering. NOTE: We anticipate this will be a rolling release - with a significant chunk of the text released in August, the rest coming on a regular basis throughout the school year. World History, Chapter 1: Would the World Have Been Better Off Without the Mongols? During the thirteenth century, the Mongols built an empire from scratch through remarkable feats of organization, planning, endurance, courage, slaughter, destruction, and terror. The empire was ruled by a combination of exploitation and protection of those conquered. The Mongol peace-keeping and encouragement of long distance communications, resulted in the widespread exchange of ideas, goods, and techniques, as well as in the spread of disease. World History, Chapter 2: How Was the World Altered When the Four World Zones Connected? Today we live in a world that is extremely and irreversibly global. Our marketplaces offer seemingly limitless products from around the world. People utilize the Internet in order to connect to a body of collective learning previously unseen in history. This is in stark contrast to the origin of small hunting and gathering bands of Homo sapiens on the plains of East Africa. that existed close to 200,000 years ago. From these origins, Homo sapiens gradually migrated throughout the world. This lengthy journey culminated 14,000 years ago, with the human colonization of the last region of the earth, the Southern Cone of Argentina. At the end of this lengthy process of migration, the earth was divided into four distinct areas called world zones. World History, Chapter 3: Did the Benefits of Exploration Outweight the Costs? The Crusades began in 1096 and lasted until 1291. During two centuries of atrocious fighting between Christians and Muslims to control the Holy Land, the end result was the establishment of a bitter hatred between the two religions. From an exploration standpoint, however, the result was not as dismal. Crusading in the areas of northern and eastern Europe led to the expansion of some kingdoms and the creation of new political units. While religious fighting was occurring, traders moved into the area and started to profit economically from use of the land. When the Catholic Crusaders returned from the Middle East in the 12th and 13th Centuries, they brought back with them tales of new lands and peoples as well as cloth such as silk and foods such as sugar—all of which they had never experienced before. 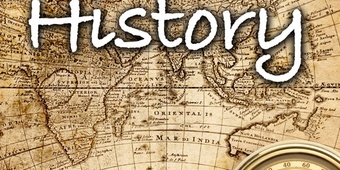 World History, Chapter 4: How Did the Slave Trade Impact the World? Questions raised in this chapter: Why were African slaves used primarily for forced labor in the cotton and sugar plantations in the Americas? (Instead of indentured servants and or Native Americans) 2. Why was the Trans-Atlantic slave trade transformative to the economic way of life in the Americas? 3. How did African slavery in the New World differ fundamentally from past instances of slavery and other systems of labor in the same era? 4. How did the geography of the region dictate the role of slaves? Drawing and quartering, burning at the stake, tar and feathering, the pillory, the wooden wheel, the rack - all were devices or methods used for torturing humans conjured up over the ages. But in 18th Century Europe, a new movement, a new set of ideas was sweeping through the continent. A new type of thought, of “enlightenment,” was engaging the philosophes -- French philosophers or thinkers. These thinkers applied methods of science to understand society and to make improvements in it. With the application of reason, the philosophes believed government, law, and society could be reformed. According to the philosophes, the role of punishment and torture should be questioned too. World History, Chapter 6: Was the Industrial Revolution Worth the Human Cost? The Industrial Revolution (ca. 1750-1900) may have involved fewer beheadings per capita than preceding political revolutions, but it was certainly transformative for people in all walks of life. In Europe, feudalism was a thing of the past, but without modern forms of transportation, the average person still had to rely on their local community for the production of food and durable goods. Prior to industrialization, most people lived as farmers; life revolved around subsistence agriculture. People worked the land with simple, homemade tools to grow their own food. Production of goods (clothing, for example) happened on a small scale, often within workers’ homes. Trade happened on a small scale within communities. Life expectancy was short, although it had increased at a slow rate since the Middle Ages. All of this, however, would change dramatically as the Industrial Revolution started in Great Britain and caused sweeping changes around the world. This global event transformed how people worked, played, traded and traveled. It changed politics, economics, and family structures and continues to shape our world today.